The Kelowna Rockets organization is saddened by the news of the death of longtime scout Graham Tuer. Tuer spent 15+ years with the organization and was always a treat to be around. I often had enjoyable talks and laughs with Graham when he attending Rockets rookie camp and he would often show his face when the team visited Regina during it's bi-annual Saskatchewan road trip. Graham Tuer was 87. Appearing on a Vancouver sports radio station, I was asked point blank; 'How long do you think it will take for Kole Lind to play regularly in a Vancouver Canucks uniform'? Wanting not to put pressure on the recently drafted Lind, I quickly said 'four to five years'. I am not sure Canuck fans want to hear that, but why would I put pressure on Lind to crack the NHL at 20? Or why put false hope into a Canucks fan base desperate for anything positive? If Lind is a full time NHLer before he is 23, than good on him. I rather take the bullet for being wrong rather than put unrealistic expectations on what is an excellent prospect. Will Lind play in the NHL? I believe he will, but not without some seasoning. Hey Canucks fan...he will be worth the wait. From what I've been told, Liam Kindree is having a strong camp. The 17 year-old was a late cut of the Kelowna Rockets last season and spent the year in the BC Major Midget Hockey League where he was the league scoring champion (28+39=67) with the Vancouver Northwest Giants. Unlike last fall, Kindree isn't going anywhere. The North Vancouver resident should be a regular fixture on the fourth line, but with his skill set, could a look on the second power play unit be a possibility? While I haven't seen a lot of Kindree in his short stint with the Rockets, he looks to me like a more skilled Cody Chikie. I'd argue one of the best players at main camp may be Jack Cowell. Cowell looks motivated and is around the puck in scrimmages. What Cowell lacked last season was strength. Often out-muscled by stronger, bigger players, it can be a frustrating experience losing battles for loose pucks. With a little more body maturity and overall strength, it will be interesting to watch if he is able to own the puck more than chase it. Luke Schenn is a father. In speaking to the always approachable 27 year-old before a brief skate this morning at Prospera Place, Schenn says both he and his wife have made the smooth transition into parenthood. With the baby four months old, sleeping through the night is typically the first hurdle one must overcome. The Schenn's, according to Luke, are having success in that area where sleep deprivation is a common side effect after a newborn enters the world. Among the goaltenders competing at Kelowna Rockets main camp this week is 17 year-old Jordan Frey. Listed at 5'7 and 134 pounds, Frey played with the Saskatoon Contacts last season under the watchful eye of Rourke Chartier's father - Marc. And no, Frey is not related to Director of Player Personnel Lorne Frey. Speaking of goaltending, I've been asked if 16 year-old rookie Roman Basran should be given the chance to earn the backup duties with the team this season? My answer? I don't like the idea to be honest. Basran needs playing time. The Delta, BC product is the goalie of the future. Basran needs to play and the BC Major Midget Hockey League is an excellent platform to do that. You don't rush goalies. The Rockets won't make the same mistake twice. Remember Josh Lepp? We all know how that turned out. After 19 seasons, one of the most popular players ever to wear a Kelowna Rockets uniform has retired. Brett McLean quietly called it a career this summer after 19 seasons of pro hockey. 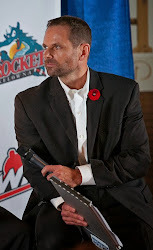 McLean played parts of five seasons with the Rockets, starting in Tacoma in 1994 and concluding his WHL career when he was dealt from Kelowna to Brandon in 1999. McLean had offensive success at the WHL level, scoring a career high 44 goals and 104 points in 1996-97. The Comox, BC resident was the Dallas Stars ninth round pick in in 1997 but never played a game in 'Big D'. McLean played 385 NHL games with the Chicago Blackhawks, Colorado Avalanche and Florida Panthers. 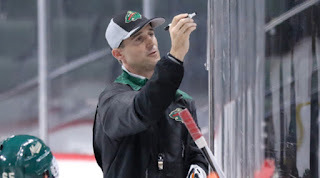 McLean will begin his first season of coaching as an assistant with the American Hockey League's Iowa Wild. Two former members of the Kelowna Rockets are getting a look-see elsewhere. Do you remember Alex Uryga? The 19 year-old played five games with the Rockets as a listed player. Uryga is attending the Seattle Thunderbirds training camp this week. Tanner Wishnowski was put on waivers by the Prince George Cougars. At last word, the 20 year-old was attempting to earn a spot wit the BCHL's Vernon Vipers. I had a 'I'm old moment'. Defenceman Brayden Chizen asked me if I was calling the play-by-play on the radio when Shea Weber was with the Kelowna Rockets. When I answered yes, the only word that came out of Chizen's mouth was, "wow". Do the Rockets employ a 20 year old goalie again? Will the Kelowna Rockets employ a 20 year-old goaltender again this season? Cody Porter hopes so. With the graduation of Michael Herringer, Porter has been brought in to challenge for the number one job with 18 year-old Brodan Salmond (turns 19 in October). The North Vancouver, BC resident asked for a trade from the Calgary Hitmen this summer and while a deal wasn’t made; he was offered a free agent tryout with several teams – the Kelowna Rockets included. Porter, who interviews like a seasoned veteran, believes the Okanagan is the best place to end his WHL career. Porter, who doesn’t turn 20 until September 23rd, played two years of minor hockey at Pursuit of Excellence Hockey Academy before eventually joining the West Kelowna Warriors. Safe to say he is familiar with the area. After a brief stint in the BCHL, Porter moved up to the Vancouver Giants before being dealt to the Calgary Hitmen in a five player deal in October of 2015 with then teammate Jackson Houck and Jakob Stukel. Porter has high expectations for the team he hopes to represent this season. Porter talked about winning the Memorial Cup and anything less would be a disappointing season. How do I view that comment? I love it. I don’t want a player, especially a veteran on my team that would be content by sitting in the middle of the pack in the Western Conference standings and choosing mediocrity. I like the fact that Porter has the bar set high heading into the season. I had my first look at 17 year-old European defenceman Libor Zabransky during Monday’s workout. The dude can definitely skate and has the look of a good player. Chosen in the 1st round – 51st overall in the CHL Import draft, Zabransky won a silver medal by losing to Nolan Foote and Team Canada at the most recent Ivan Hlinka Memorial Cup. Zabransky, whose father played in the NHL with the St. Louis Blues, clearly has an offensive upside but getting used to the smaller North American ice surface will be a challenge. I shouldn’t be putting the cart before the horse but I will. I think Zabransky can be a top 6 d-man on the roster this season. With the loss of Devante Stephens and Lucas Johansen, I can’t see why Zabransky is unable to play significant minutes in his rookie season in the WHL. Leif Mattson, for my money, may be one of the more intriguing forwards to watch this season. Now 18, it’s go time for the Thompson, Manitoba product. In other words, Mattson, an 8th round bantam pick of the Brandon Wheat Kings in 2014, has to show he is worthy of earning a significant spot on the team after playing fourth line minutes last year. In speaking to Mattson this morning, he clearly has dropped some weight and looks in good shape after spending a portion of the summer in Calgary. One of my favourite interviews on the team is Erik Gardiner. Like his brother Reid, there is a certain honestly about the questions he answers and he too has more upside then downside in his overall game. Needing to work on his foot-speed, Gardiner made sure that was a focus this summer as he too elected to train away from home in Humboldt by sweating it out in nearby Saskatoon. Heck, Erik had the benefit of eating grandma's cooking. Gardiner can shoot the puck without question. That's his greatest strength. It will be interesting to see him evolve this season, which will only be his second season in the WHL. It is hard to believe that the Rockets were able to play so late into April despite being one of the most penalized teams in the WHL last season. Will that change in 2017-2018? Did undisciplined play cost them last season? Was it a factor in two or three games and did it result in a loss rather than a win? If it did, it cost the team a BC Division title and a banner up in the rafters. I still believe a BC banner should be hanging high at Prospera Place had it not been for a demoralizing loss to the dreadful Vancouver Giants in January. I will never forget that night when the team looked listless and fell behind 4-1 halfway through the game. Going through the motions, the far superior team would score three of the final four goals before losing 5-4. Had they won that game against a G-Men squad that earned only 20 victories, the Rockets, not the Cougars would be raising a banner to the rafters on opening night. Overage defenceman Devante Stephens is attending Rockets main camp this week. Signed by the NHL’s Buffalo Sabres, ‘Devo’ will surely play pro hockey this season but wanted to use Rockets main camp for conditioning before embarking on his pro career. Stephens is one of six-overage players on the Rockets. What will happen with 20 year-old Tomas Soustal? Unsigned, Soustal is also at training camp but will receive a pro opportunity this fall. If he remains unsigned, management will have some interesting decisions to make as the Czech forward is a two spotter as an overage and one of two Europeans allowed on a WHL roster. Gordie Ballhorn, James Hilsendager, goalie Cody Porter and forward Carsen Twarynski round out the six players that are competing for three 20 year-old spots at training camp. All four are unsigned free agents. Twarynski must sign a deal with the Philadelphia Flyers by next June. The power forward was selected in the third round of the 2016 NHL draft. I have no idea which path Ethan Bowen chooses to take in his hockey career, but one thing is abundantly clear. Bowen is a man of his word. 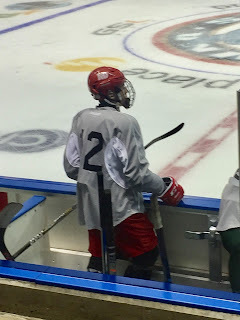 When I saw the 15 year-old prospect take part in Tuesday's first on-ice session at Kelowna Rockets rookie camp, that's the first thing that came to mind. Bowen, on the advice of his family (What 15 year-old doesn't receive advice from his parents?) made it to camp to give the Rockets a 'test drive'. It was something they promised to do when the WHL team selected the Chilliwack, BC prospect with their first pick in the 2017 WHL bantam draft. Teams stayed clear of Bowen at the draft as if he had a contagious disease. 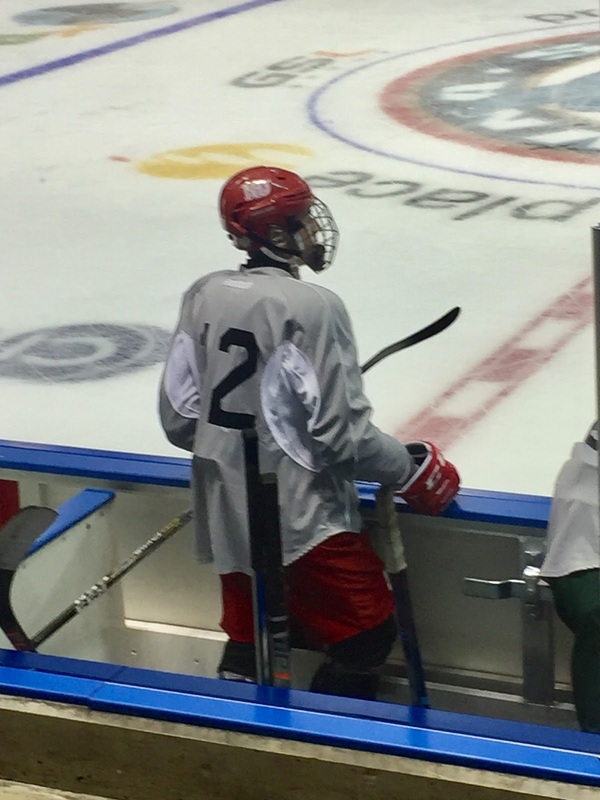 The skilled forward told many that he was considering the NCAA route and signed a players contract with the hometown Chilliwack Chiefs shortly after being chosen in the draft 39th overall. The fact is, the Bowen's are not coming into the WHL uninformed. Older son Ryan has played with the Moose Jaw Warriors and Lethbridge Hurricanes. The Bowen's know what the WHL can and cannot provide. 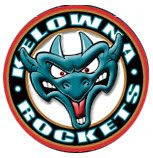 That said....that said...I will argue that playing for the Kelowna Rockets is different than what the Bowen's have experienced with the Warriors and Hurricanes. My advice is to talk around. Ask former parents of what the Kelowna Rockets experience has been for their son and the family and make a decision from there. Let's use this analogy. You could say all Porsche's drive the same, but ask a expert driver and they will tell you that even though they are the same model, some just drive differently. Attending the morning session, two players stood out. The other Ethan - Ethan Ernst - really looked good. Ernst is the Rockets third round pick from May and looks like the real deal. Ernst, from Weyburn, Saskatchewan (God bless him) has size, speed and skill. Ernst looked like he could play now. With an above average frame, the 15 year-old was awarded a penalty shot in the morning scrimmage and made a nice backhand to forehand deke, only to be denied by the paddle of the goaltender's stick. Keep your eye on Ernst, specifically at main camp, as he hopes to turn more than a few heads. Playing in Notre Dame, he caught my attention during my brief viewing at Prospera Place. Officiating the mid-morning session was forward Nolan Foote and defenceman Brayden Chizen. The two called a solid game, awarding Ethan Ernst a penalty shot, yet they failed to see a clear infraction when Ethan Bowen was hooked down when cutting hard to the net. I say that all in jest fellas. Nice to see both guys on the ice and back for another season. Heck, Foote has a gold medal around his neck and a permanent smile on his face after helping Canada win it at the Ivan Hlinka. Both will play significant roles with the team this season. It appears Adam Brown has taken over the full time role as goaltending coach. Those duties were split between Brown and assistant coach Travis Crickard last season. But as we found out during the 2016-2017 campaign, Crickard was the architect behind the Kelowna Rockets power play. It was the third best unit among the 22 teams and was only outdone by the Regina Pats and Medicine Hat Tigers. Crickard is a smart hockey mind and thinks the game on a different level. With Brown now taking the full time reins as goalie coach, 'Cricks' can become the Rockets 'Offensive Coordinator". I am not sure he will ever acquire such a title, which first came to light when ex-NHLer Pierre Turgeon was named the LA Kings 'Offensive Coordinator' in July, but it would sure look good on him. I mentioned on Twitter than Prospera Place is featuring new glass and boards. I had a close encounter with it at the morning skate when on two separate occasions, two board battles in front of me had the glass, specifically, bend as two players made contact with one another before momentum took them both into the new glass. It made a thunderous thud, which should only add to the speed and physicality of the game for the hockey fan chewing on popcorn. More importantly, the new glass will provide some cushioning which means it will be safer for the player giving the hit and the player receiving it. Nice to shake hands with long time Rockets scout Bob Fawcett. Always positive and a keen eye for talent, the Saskatoon resident is another reason why the team has so much success at the WHL bantam draft table. I am interested to meet more of the veterans as the week goes along. I am often amazed how they change over a few short months. I haven't seen most of the veterans since the season came to an end April 30th against the Seattle Thunder Birds. 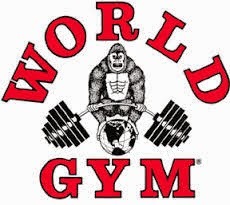 What I want to see is who took their conditioning seriously and paid the price in the gym. Who mailed it in and believes they can make an impact on talent or luck alone? Every team has them, but a less than stellar off-season work ethic will soon have them exposed. Few can get away with it at the major junior level. I've heard a few veterans have stood out with their overall appearance. I won't mention them now until I see them for myself. The new boards at Prospera Place have no advertising on them. It is old school. Remember the days when that was the norm? The Rockets have won 40 or more games in five consecutive seasons. Can they make it 6 this season? The last team to do it? The Portland Winterhawks between 2009 and 2015. How was your summer? The summer of 2017 will go down as one of the best - ever. Our family had the privileged of spending two weekends down in Osoyoos; one at Walnut Beach Resort and another at Spirit Ridge Resort. We explored Fairmont Hot Springs, a place we prairie people simply adored when I was a kid. I had the chance to take my boys white water rafting for the first time in Golden, BC thanks to Alpine Rafting. Alpine should be your only choice for getting thrills while going down the Kicking Horse River in a safe manner. Throw in a little golf at Black Mountain GC and Shannon Lake/Two Eagles and it was one of the best on record. It wasn't all leisure. Garage doors were painted, trees were trimmed and gutters cleaned, but the grunt work was taken care of way back in June. I could have done without the forest fire smoke, but hey, our entire family felt we took full advantage of the off-time that only summer provides. Let's talk some hockey. For me, the biggest question mark heading into Kelowna Rockets training camp is goaltending. With the graduation of Michael Herringer, who will play this season at the University of Regina, the question must be asked if Brodan Salmond is able to carry the mail as the teams #1 goalie? The 18 year-old has 30 starts under his belt at the WHL level and the coaching staff have done a nice job of shielding him. The Calgary resident has been given the chance to get his feet wet at the major junior level with starts against what would be considered lower tier competition. That's the way it should be. A 10th round bantam pick in 2013, Salmond will be given a chance to show he is worthy of being a starter. I've been asked repeatedly this summer if the Rockets are looking at making a trade for a veteran goalie? This is nothing new for an organization that acquired Michael Herringer, Jackson Whistle, Mark Guggenberger, Kelly Guard and Shane Bendera via trade in order to shore up one of the most crucial positions on the ice. It will be interesting to watch 16 year-old rookie goaltender Roman Basran at main camp. Can the Delta, BC product push Salmond? Is Basran even being considered for the back up spot, or is the goalie of the future better served by playing more games at a lower level? Let's not forget about 17 year-old James Porter either. The 7th round pick of the Rockets from 2015 spent time with the team last season during its run towards a fourth consecutive birth in the Western Conference final. While only used as a practice player, does the American born goalie make a bid for the back up position? This is why training camp is always intriguing. What can you look forward too when rookie camp opens next week at Prospera Place? How about seeing the white in the eyes of 15 year-old prospect Ethan Bowen as a start. The Rockets picked the Chilliwack resident with their first selection, in the second round, in May's WHL bantam draft. Had Bowen not scared off more teams with the suggestion he is likely going the NCAA route, the slick skating forward would have been a top three pick. Instead he slid to the Rockets, who crossed their fingers and toes, and chose him 39th overall. Ethan's father says his son will attend rookie camp with an open mind of possibly choosing the WHL over the NCAA down the road. What is clear is Bowen will play for the hometown Chilliwack Chiefs before decided where his hockey path will take him. I'm just interested to see if he indeed is the real deal. I am told he is. Outside of Bowen, the other player at rookie camp that I will be watching is 15 year-old forward Ethan Ernst. A third round bantam pick of the Rockets, Erst had 19 goals playing bantam triple 'A' with the Notre Dame Hounds last season and even saw limited duty with the Hounds midget team. Heck, Erst is from Saskatchewan (Weyburn,) so he is a winner in my eyes already. Like any new season, the team has several holes to fill. Nick Merkley, Captain Rodney Southam, MVP Calvin Thurkauf, Lucas Johansen, Devante Stephens, playoff MVP Reid Gardiner and goalie Michael Herringer are no longer around. That is seven quality players missing, but the cupboards are anything but bare. When you have Dillon Dube, Kole Lind, Cal and Nolan Foote and three quality 20 year-old's returning, the team will still enter the season with a loaded gun. And like any season, players who made small contributions are asked to give more and traditionally deliver. The 20 year-old battle when main camp opens could be very interesting with four players vying for three spots. Carsen Twarynski and Tomas Soustal are the lone forwards with Gordie Ballhorn and James Hilsendager attempting to earn a spot on the blue line. My gut feeling is Soustal will turn pro as the Rockets likely wouldn't want to use a European born player for one of only three overage spots. The last time that happened was in 2000-2001 when forward Jan Fadrny scored 32 goals and led the team in scoring. Fadry was acquired from the Brandon Wheat Kings that season in the Nolan Yonkman deal. Of those four 20 year-old's potentially returning, the one that made the greatest impact, in my eyes last season, was James Hilsendager. I thought he was the most physical defender by a mile and appeared to regain any confidence that may have been lost while with the Regina Pats. As we know, Hilsendager's efforts in 2016-2017 count for little entering a new season, but it sure is nice to know he isn't a weak link as one of the elder statesmen on the team. Three forwards intrigue me coming into main camp. Those three are Kyle Topping. Connor Bruggen-Cate and Leif Mattson. What strides have all three made over the summer? Are they better conditioned heading into camp? They have to be wiser with a WHL season under their belt. Or do they rest on their laurels believing a spot will be given to them regardless of what type of camp they have? Look for Ted Brennan to come into camp with extra motivation after being cut by the team as a 16 year-old. Look for second year forward Jack Cowell to make some significant strides too in an effort to earn more ice time. Topping may be the most offensively gifted of the bunch, but let's not forger about Eric Gardiner either. While playing in the shadows of older brother Reid last season. can the soon to be 18 year-old turn his game up a notch? Foot speed remains an issue, but if that area of his game improves, Eric will score some goals. The Humboldt, Saskatchewan product has demonstrated the ability to shoot the puck when finding the open area. We finally have the privilege of watching 16 year-old d-man Kaedan Korczak full time. The Rockets first round bantam pick from 2016 should make an impact in his rookie season in the WHL. Can he be as productive as Tyson Barrie and Madison Bowey when they earned 43 and 21 points respectively in their first season while wearing Kelowna Rockets colours? Both Barrie and Bowey would eventually become team captains, would play for Canada at the World Junior's and would win WHL championships. It wouldn't surprise me if Korczak follows a similar path - eventually. How good was Korczak last season? He was named a Saskatchewan Midget Hockey League first team all-star with 11+18=29 in 42 games with the Yorkton Maulers. For the first time since the 2013-2014 season, the Rockets will have the luxury of having the same head coach. Ryan Huska was the last head coach to guide the team in back-to-back seasons. Since then, Dan Lambert was one and done as was Brad Ralph. Last season, the players had to get used to new head coach Jason Smith. The good news is Smith is back and the familiarity will surely help the team get up to speed quickly in what is anticipated to be another tight race in the BC Division. That's it for now, but we have so many more things to discuss as camp opens. See you at the rink!